HP is continuing their campaign, #BendTheRules. And in the spirit of their campaign are promoting collaborations in the most unique ways. Their video, HP x360 Behind The Scenes, inspired me to break out of my ordinary posts (and my introverted self) to connect with local bloggers through The Birmingham Bloggers to create a video that highlighted some of Birmingham's most beloved activities. In the video I loved how all people with different backgrounds and specialties came together for their collaboration. With my own collaboration, I hoped to see Birmingham through the eyes of locals and was interested in their take on what Birmingham has to offer. I've lived in Birmingham for six months now, hardly enough time to get really get to know a city. So I reached out to the Birmingham Bloggers and polled them to see what they thought were Birmingham's Top 5 Things to Do, and a few of its members were kind enough to offer me some insider information about some of the spots. Using my trusty HP x360 computer I researched the five activities they suggested and curated the clips I filmed to create the video. I loved working them and hearing about their insights into the local culture. Working with Birmingham Bloggers was such a great experience; they're such a wonderful and supportive group of bloggers that have so kindly introduced to me to what a wonderful city Birmingham is. Check out the video that inspired us, HP x360 Behind The Scenes, and what we came up with in the video (above) and the list below! Steph is a Birmingham-based blogger and freelance writer. She's also a committed foodie and design junkie who appreciates a balanced personal budget. Follow her mission to make those traits work together on her blog. Kimberly is a twenty-something higher education professional living and working in Birmingham, Alabama. Her blog, Leadership Development & Life in the Yellowhammer State, focuses on topics related to higher education and student affairs, such as leadership studies, the internship and job search process, and experiential education. Her blog also features local establishments that make the Magic City a wonderful place to live. Follow Kimberly on twitter. When Shelby started her blog a year ago she had a handsome boyfriend and 52 students that she called he kids. A year later that handsome man is her husband and he gave her a beautiful son. Her blog is about how they got here, where they are going, and everything in between. Follow Shelby on instagram, twitter and facebook. 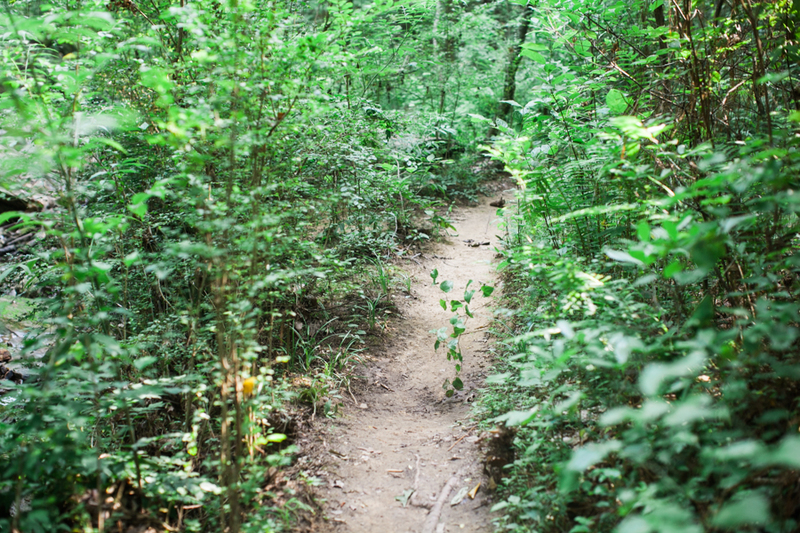 "Among the other wonderful things to do, Birmingham offers a wide variety of hikes throughout the city. It boasts scenic spots like Oak Mountain and Ruffner Mountain which overlook the city. I personally love the hiking around here because there's a hike for all types of people. For example, enjoy an easy hike with family at Red Mountain where you can explore abandon mines and try your hand at the ropes course up in the trees. Hiking in Birmingham is one of my favorite activities! Enjoy a day at the Birmingham Botanical Gardens where you can explore their Japanese Garden, walk through their beautiful trails or visit their conservatory. Spend the day strolling through the gardens and eat a picnic lunch in one of their many lush spots. Afterwards you can look through the onsite Botanical Library, have a cup of coffee or stay until sunset for one of their evening movies at the Gardens. This post was sponsored by HP but all the opinions are my own.